provide correction to pixel values (bias, gain) individually for each color component and (in some applications) depending on the pixel position on the sensor. 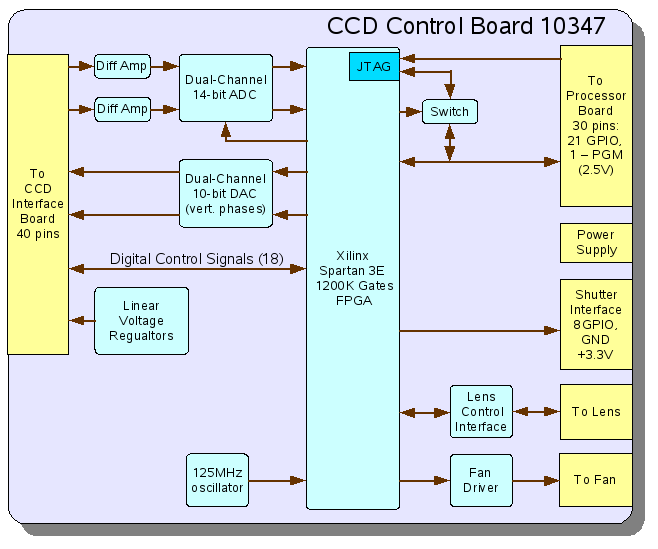 Differential amplifiers simplify transferring analog signals from the sensor interface board and reference the video signals to the ADC analog ground. 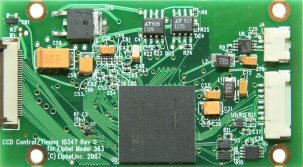 Dual-channel 10-bit DAC generates multi-level signals that (after being amplified on the sensor interface board) drive high-capacitance CCD vertical phases. 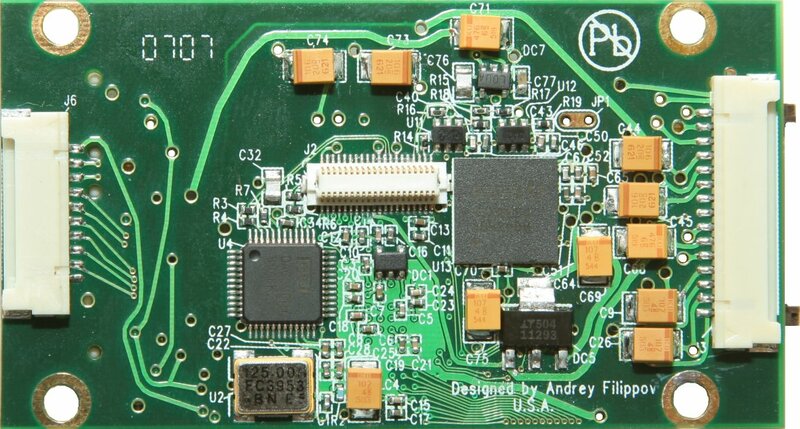 Faster bi-level horizontal phase signals are generated by the switches on the CCD interface board using LVTTL signals from the FPGA. Linear voltage regulators clean up power supply voltages received from the switching power supply and provide power for the ADC, amplifiers and for the CCD interface board. 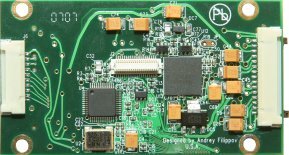 8-pin connector (J5) provides power and serial control signals for the standard motorized lenses. 2-pin connector (J4) is used to connect an optional cooling fan. This page was last modified on 9 December 2010, at 09:13.